Beautiful Incentives: Back to School Sales - Shoes! Back to School Sales - Shoes! I'm back with what I promised. More savings on back to school apparel and accessories. In addition to last weeks clothing sales, I just got word of an AMAZING sale going on until September 4th, by Konvine. 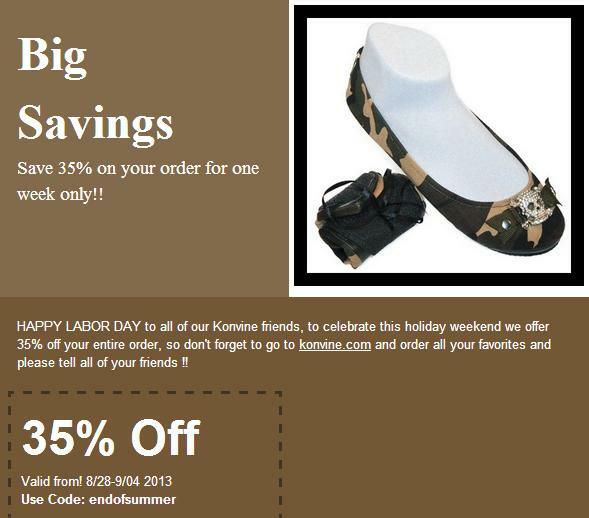 Konvine is having a 35% off sale on their already low priced shoes. These shoes are so incredibly comfy. They are unique in that they roll up so you can take them anywhere, but never fall out of shape. What I really love about them is the designs! So many cute ones! You have to check out the Konvine skull roll ups flats I reviewed last year. Grab some cute new shoes for school or any time! To purchase, just use code "endofsummer" Offer ends September 4th so hurry!